Rejoice Attack on Titan fans! You need search no further for your paper-binding needs! 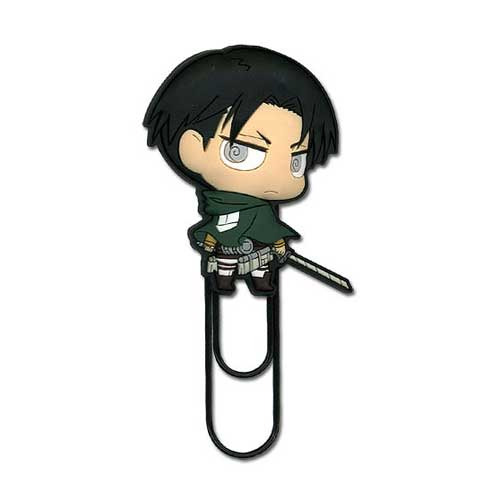 Keep your desk in order or hand your term paper in with a little pizzazz using the Attack on Titan Levi Super Deformed Figural Paper Clip! Measuring about 3-inches long. Ages 15 and up.